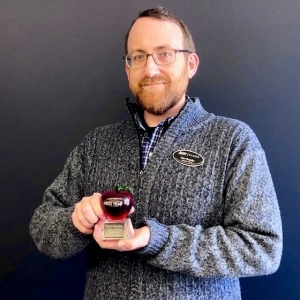 Five faculty members were named 2018 First-Year Courses Outstanding Instructors during an awards ceremony Febuary 21, 2019 At the awards ceremony, Vice President for Student Success Dr. Eugene Palka acknowledged the commitment of all nominees and spoke to the important role that Student Success Seminars play in the retention of freshmen students. Each month, First Year Courses will feature one of our most inspiring instructors. Instructors are chosen based on their commitment to helping students succeed and the levels of engagement they achieve with the students in their classes. Four faculty members were named 2015 First Year Courses Outstanding Instructors during an awards ceremony February 18th, 2016.